The Rio Cinema is independently owned and was built in 1931. The plans for the building date however from drawings of music halls and theatres from 1912 to 1914 and as such it is not in the ‘Art Deco’ style. 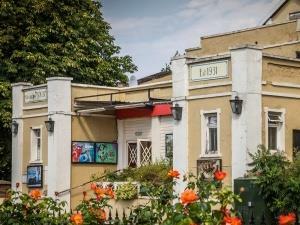 The cinema has 2 screens and offers the most up to date films with tickets for sale at historically low prices, to be enjoyed in unique surroundings. Please refer to www.burnhamrio.co.uk for current prices and conditions of entry. Follow signs to Burnham-on-Crouch on the B1010. Pass Ormiston Rivers Academy on your left and turn right at the T junction. Proceed along Station Road, over the railway bridge and past the post office. Eventually the road bends to the left. The cinema is next to the Tesco store.